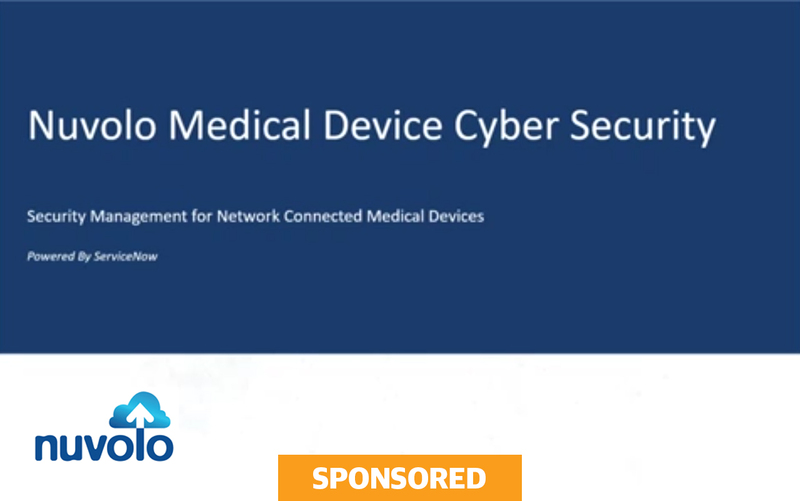 The Webinar Wednesday presentation “Cyber Security for Medical Devices” by Nuvolo Director of Solution Consulting Andrew Sweet and Nuvolo Chief Technology Officer Asim Rizvi addressed key points. Almost 300 people attended the live presentation and even more have viewed a recording of the webinar. Attendees of the live presentation were eligible to receive 1 CE credit from the ACI. The webinar focused on the challenges health care organizations face securing and protecting medical devices from cyber threats. Participants learned about four key disciplines of a prudent medical device security program. The session was well received by attendees with several posting positive comments via a post-webinar survey. “The webinars keep getting better and better. This one was very appropriate since AAMI emphasized cybersecurity at their recent meeting,” said C. Nanney, a national quality manager. “This was a very informative webinar, addressed a lot of key points that a health system has to be aware of and track,” Clinical Technology Supervisor N. Braver said. “Awesome webinar! Very relevant! Very important to me. We just hired a biomed cybersecurity technician and this information is awesome,” Biomed Manager C. Donmoyer said. “This was a great webinar with a lot of necessary information for any hospital that is serious about keeping PHI safe, Clinical Engineer A. Hipskind said. “I have a professional background in computer information systems and biomedical technologies. 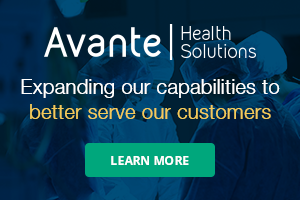 Information security for health care services is unquestionably critical considering patient care risks and monetary damages due to retroactive responses to incidents. I am very pleased to see the Nuvolo EAM software platform combines many of the most important tools necessary for an organization to expand awareness and accountability and to proactively defend against threats before an incident occurs,” Biomed P. Baugher said. “Wonderful and powerful presentation that not only addressed today’s hottest biomedical engineering departments headache – edical device network security life cycle management, it also provided the solution,” Clinical Technology Consultant F. Eslami said. The overall webinar series also received praise from attendees. “If you do not have Webinar Wednesday on your calendar, you are missing out on a wealth of relevant industry information,” Clinical Engineering Manager D. Mills said. “Webinar Wednesday is great because I can learn about different biomed issues without having to be somewhere else physically. And I can attend the seminar during my lunch time,” Biomed K. Hyun said. “Webinar Wednesday is the best place, where you get hot info. I like it,” Medisend College Instructor D. Georgescu said. “Presentations provided in the Webinar Wednesday series are delivered in a professional and efficient manner, covering important and timely topics. Well worth the time to participate,” said Director of Biomedical Engineering S. Blumberg. “ Webinar Wednesdays are a great opportunity to learn about relevant topics that affect our industry. I always learn something new and look forward to the next webinar,” Biomedical Engineering Manager G. Havens said. For more information, click on the Webinars tab above.